If you Google “integrated newsroom,” you’ll see loads of search results for articles, op-eds, presentations, academic papers, and even images of seating charts. (This one makes me chuckle a little.) Everyone has their own definition of what this buzzword-y phrase means (as is often the case with buzzwords), but even so, I’ll throw mine onto the pile: An “integrated newsroom” is one in which reporters, designers, developers (and more) work closely, regularly, and happily together to develop features, apps, visuals, and tools. Media organizations are still trying to crack the code when it comes to building integrated newsrooms, and this will remain a major challenge in 2015. There are several newsrooms with visual/graphics teams that are stunningly good at their jobs. But even with a dream team of developers, designers, and reporters outputting a formidable corpus of apps and editorial features, people and roles are still getting siloed — sometimes even silenced — in every newsroom. Vox Media, where I work as a developer, is still working towards building an integrated newsroom, but I think we’re coming close. As a relatively young company built from and firmly grounded in technology, there are of course many factors that make us slightly better positioned to do so. To compare our position to a large newspaper is unfair; they have to think about print alongside digital, and have larger newsrooms with all the bureaucratic trappings that come with such scale. Even so, I think there are a few lessons that can still be drawn from our experience and challenges in building an integrated newsroom culture at Vox Media. How does a newsroom become integrated? I can only speak from personal experience, so first I’ll lay out some disclaimers. I’ve only worked in one newsroom, and even at Vox Media, I’m not officially a developer dedicated to any editorial team. I don’t sit in the Vox.com or SB Nation editorial bullpen in D.C. We do have an editorial apps team that works across all seven of our verticals to produce special features, as well as a developer solely dedicated to building web apps for Vox.com. My day-to-day work is primarily in building out our branded and native advertising content and platforms. But I think that makes my point even more salient: Although I’m not officially a newsroom/editorial developer, I’ve still gotten a glimpse of what it’s like to work in such a collaborative and integrated environment. So here’s my single, most important tip for building a truly integrated newsroom: Talk to one another. And maybe become BFFs. That said, it’s also important to build a culture where developers and designers aren’t forced into a position to “serve” the needs of writers and reporters. This is tricky, because I think we often see the content creation process as being content first, with all the “production stuff” (visuals, interactives, etc.) coming last. But creating an integrated newsroom doesn’t mean establishing an effective and efficient way for developers to build stuff out for writers’ content. It means building a culture where developers and writers can work together, in parallel, to solve a common problem and tell a story together. Have respect for one another, get all parties involved early in the process, and you’ll have way more fun that way. The last point is encouragement. We have many editors at Vox who consistently encourage those on the product team to contribute writing and content to the website. This signals to me, as a developer, that my ideas are being heard and that I have a real opportunity to contribute to the site, whether that’s through a written article or a web app. Break down walls and empower people. Not physical walls (although you could do that too!) — I mean the walls of communication, walls of process, walls of bureaucracy. These have their purposes, but when building an integrated newsroom culture, they can impede more than help. Process and good management are important and necessary for producing a thing, but in the idea-origination stage of writing and developing, they can hinder. Let chaos breed some creativity. At Vox Media, one tool of communication we use to break down such walls is Slack, the increasingly popular internal chat tool. Slack allows you to create as many chatrooms as you’d like. We create public chatrooms for most things and encourage people to join any room they wish. I don’t like pointing to one single tool as a silver bullet (your culture needs to complement the tool), but I truly believe this is one of the reasons why our team has become as collaborative, creative, and integrated as it is currently. Conversations in Slack range from serious to completely lol-worthy (gifs, bots, etc.). What’s great is that good (even genius) ideas can spring from either type of conversation. You’d be surprised at how many jokes in Slack have evolved into real stories or features on our sites. One recent example of such a project is the Serial podcast app we built. After some discussion about the latest episode in our cross-company Serial chatroom (yes, we have one), a few people mentioned it might be a great opportunity to build an app that could serve as a “guide” to all the people mentioned in the podcast. Developers, designers, and writers from Vox all worked together on wireframing, designing, building, and gathering content. Five days later, an app was born. Sure, most everyone who worked on the app worked on it outside of their normal work projects and assignments. But working with a “flex” team of people who had never worked together before, on a project we were all very passionate about, was not only a blast but also helped educate and reinforce the idea that we work in an environment where such rogue projects are totally acceptable and encouraged. If someone has an idea, they should feel empowered to run with it. Having an editor sign off on an idea should be a five-minute chat, not a days-long process. Getting an app set up should be a few hours’ worth of a developer’s time, not a several-week process of giving that person the right credentials or authorization on your system. (At Vox Media, most developers know how to set up an editorial app and have permission to do so.) Breaking down these structural impediments helps us build cool things faster. What are the challenges of building an integrated newsroom? Building this type of integrated culture isn’t easy. First and foremost, input and output are often at odds with one another. A reporter may want one thing. The developer may understand better the technical constraints of that thing and know she won’t have time to build it out and meet deadline, so she may have another thing in mind. This challenge merely boils down to perspective, process, and communication. Building a great app or tool is a team effort, and everyone should feel involved early on. Second, it turns out that deadlines are not super fun. Building out interactive apps and visualizations for breaking news is incredibly difficult, though some newsrooms are doing it well. To get around this, start with evergreen pitches first to get a feel for a collaborative process without the burden of meeting a looming deadline. Lastly, scaling and sustaining this type of integrated culture is difficult. Our company has had success so far because the size of our team is relatively small compared to others. All members of editorial and product sit on the same floor in our D.C. office, allowing communication to be natural and easy. Aside from building an integrated newsroom culture, the challenge of scaling such a culture could be one of the most difficult we face in 2015 and in the coming years. 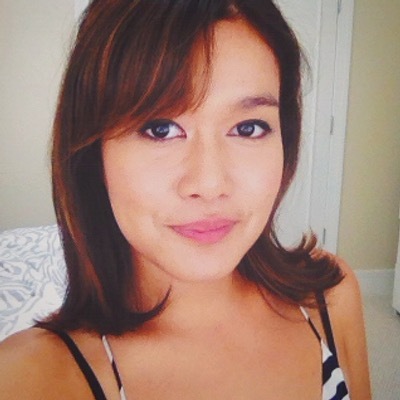 Alisha Ramos is a front-end designer at Vox Media. Dec. 19, 2014, 2:45 a.m.